Our cold-pressed juice always starts with the highest quality fruits & veggies, which become a nourishing mish-mash of pulp after the juicing process is complete. Rather than let that phenomenal goodness go to waste, we team up with our local Colorado farmers and ranchers to re-purpose our waste stream. A portion of our pulp is fermented into silage, which supplements the diet of livestock and reduces methane emissions of ruminants like cattle & sheep. The rest is used as compost for crops, or converted to natural gas via an anaerobic digester. We are committed to building a better future for our planet, and we believe that begins with closing Pressery’s food waste loop. Today, roughly 50% of all produce in the US is thrown away annually. Instead of contributing to landfills, we use “ugly” produce for our products, and we keep soil and livestock well-nourished with our pre-consumer food waste. A healthy cow is a happy cow. Studies show that supplementing the diets of four-stomached animals with fermented feed (silage) reduces their greenhouse gas emissions. 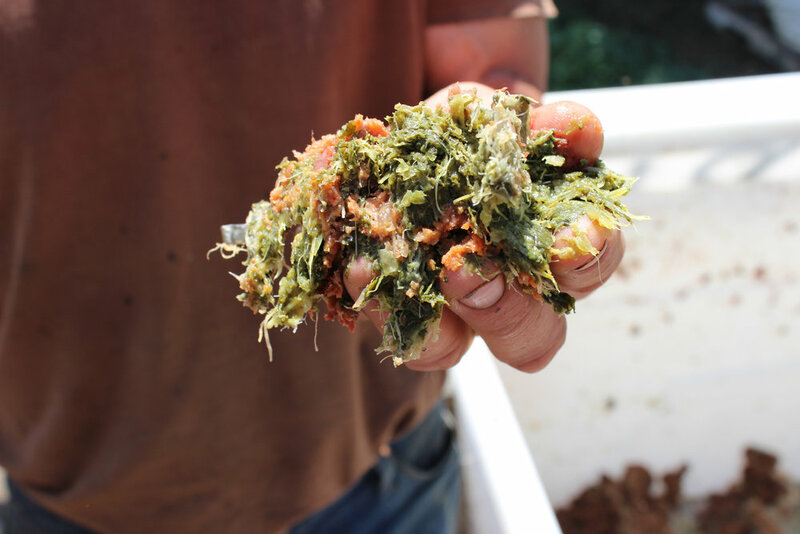 Extra scraps and pulp are digested by local cows, sheep, and pigs to make rich fertilizer for Colorado crops, which in turn feeds our communities.